Got headaches, neck or low back pain? Some of you may have had trigger point injections for migraines, or even trigger point injections for headaches such as tension, cluster, etc. How about dizziness, irritable bowel problems, trouble swallowing and ringing in the ears? Did you know that these can be treated by mps pain therapy? They may be caused by myofascial pain syndrome, or more commonly known as ‘muscle knots’ or 'trigger points'. The can contribute to low back pain, which can come from lumbar myofascial pain. Muscle trigger points can cause a wide variety of different problems. In this article, you’re going to get a beginner’s guide to myofascial trigger point therapy. Some may ask 'Can myofascial pain syndrome be cured?' The answer is yes. We'll walk you through what a trigger point is and the causes of trigger point pain, as well as the different trigger point tools you can use to relieve muscle pain and tight muscles. You’ll be better informed and ready to act in no time. If you need information on more specific causes, you can go to our other pages, such as for trigger point headache causes and treatments. What makes treating trigger points so difficult is that you can also have symptoms that are not always related to ‘muscle pain.’ These types of symptoms can really confuse health professionals that may overlook the trigger points. That's why myofascial pain syndrome treatment medication may not always be so helpful. In fact, any type of pain, such as trigger point shoulder blade (to use as an example), can be treated by simple at-home treatments. Check out the image below. Would you ever think these 'strange' symptoms can be caused by ‘muscle pain’ coming from trigger points or muscle knots?! These symptoms in the image above can seem quite strange. That's why there's a large variety of different treatments out there. Although we're going to go through the most common and simple treatments, keep in mind that there are a wide variety out there. For example some may go on a chronic myofascial pain syndrome diet, and that may work for some. Some may go more extreme. I've seen people get lidocaine injections for fibromyalgia, when in fact it's a simple muscle knot that could have easily been treated in a few days, just by putting pressure on it! Most of the time, you’re not going to have just one muscle knot. There are usually several in the muscle causing your pain, and in muscles surrounding that area. That’s why trigger points are so difficult to treat. For example, you may be getting neck pain, but the muscle knots causing the pain are located in your mid back! This is often referred to as trigger point referred pain. Visualizing it as a knot should also show why stretching and strengthening rarely helps out in the beginning. It may actually make the pain worse. What would happen if you took a knot in a rope and lengthened the rope? The knot would get tighter. That’s why starting with trigger point therapy treatments (gradual pressure over the spots) is the best way to get trigger point pain relief, and why it's a lot easier to start with that than going with something more aggressive like a trigger shot. I'll also explain shortly the different types of knots, such as latent trigger points. Now let’s take a look at what they mean by “hyperirritable spot”. It will give you the rest of the missing piece of the puzzle so you can get proper myofascitis treatment. Our muscles are designed to tense up when we need them to, from such things as lifting weights at the gym, to lifting up a child. We also need this to happen quickly and automatically. The body is constantly monitoring the need to tense and relax our muscles through the spinal cord. Now what would happen if the message back to the muscle was to always stay tense and contracted? This can occur in various postures such as being slouched over at a desk all day. It can also occur if you’re involved in a car accident, or have a job where you’re always doing repetitive tasks that prevent your muscle from relaxing. The best analogy I like to use is a computer or adapter plugged into a wall socket. 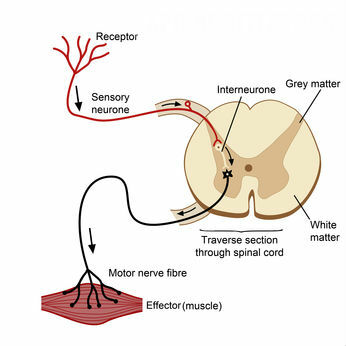 Imagine your computer being similar to a muscle and the wall socket similar to your spinal cord. When its been plugged in too long, the computer or adapter heats up. It can essentially become hypersensitive to the touch. When the same thing happens with your overworked or chronically tight muscles, they can become hyper irritable. That explains the ‘hyper irritable spots”. 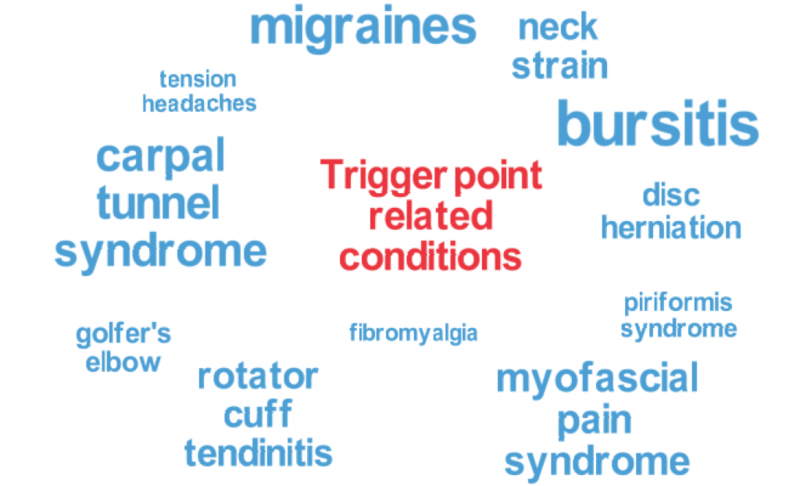 To summarize, trigger points are the most common causes of muscle pain. They're similar to knots called palpable nodules. Through various postures and occupations, the muscle ends up in a constant state of contraction, which can lead to hyperirritable spots. Treatment can be fairly easy, rather than being aggressive with things such as lidocaine trigger point injections. Note that these trigger point injections side effects can be very uncomfortable and are, most of the time, not required for your pain areas. Research shows that trigger points can be the cause of up to 85% of muscle pain. As we’ve seen in the previous section, these muscle knots can mimic a wide range of different conditions, taking health professionals in the wrong direction. Some may call it by other names, such as fascia. Back pain can have knots in these fascia. Other times, you may not be able to reach the actual spots that are causing the pain, like a trigger point under shoulder blade. By mimicking such things as dizziness, irritable bowel syndromes to toothaches, its no surprise they’re often misdiagnosed. A trigger point elbow issue may actually come from the shoulder! 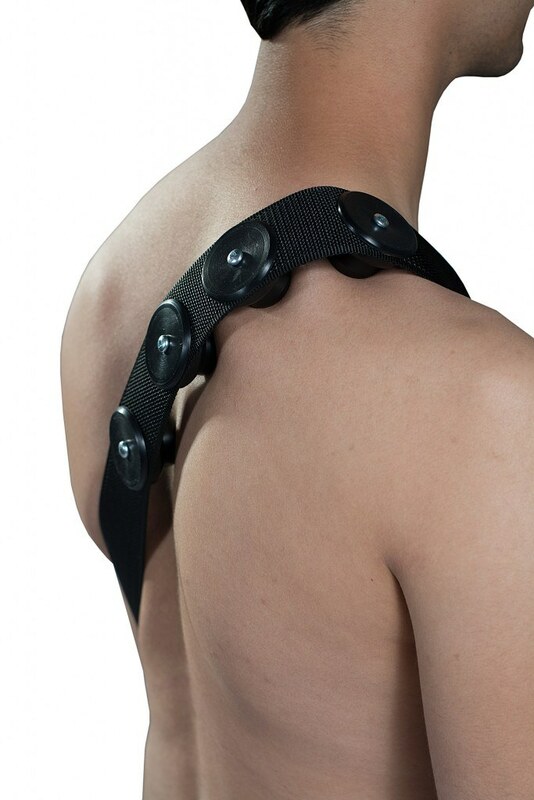 And to top that off, a trigger point in shoulder blade can give you pain that goes all the way down to your hands. One study looked at non traumatic shoulder pain. Out of 76 patients that were assessed, all of them had trigger points. Another study found that someone with knee pain had more trigger points in their low back and glutes than those without knee pain. This goes to show you that trigger point can pop up in areas that are away from the point of pain. I've had patients that had 'numbness' going into their hands. They thought they would require surgery and were told they had 'nerve problems'. Instead, their issues were simple muscles in the front of the neck that could be cured with simple neck massage, stretches and a home strengthening program. It even comes with a fancy name (scalene myofascial pain syndrome). In a study of headaches that involved 56 patients, 100% had active trigger points that were causing their myofascial (mp) muscle pain. In a study of 283 patients presenting to a pain center, 85% were given the diagnosis of myofascial pain syndrome, which consists of trigger points. As you can see, trigger points are quite common in many different conditions. If you have any of the conditions mentioned here and have not seen any relief with your current treatment methods, focus on trigger points or muscle knots that may be contributing to your pain. Going with extreme treatments such as trigger point injections (shoulders or any other body part) may not be required. Now that we know how common they are, let’s take a look at some of the causes. Keep in mind that they can start in one area but spread to other areas, thereby coining the term 'diffuse pain syndrome'. Knowing this will help you narrow down the right treatments. Since these muscle knots are quite common, we may have one but may not even know it until you press into it. These are called ‘latent’ trigger points. You may not feel any symptoms or pain. You may believe that you’re pain free. However, if you press into it, you’ll be able to experience pain in the area, and even referred pain to other areas. See how easy it is to find them, just by using your hands, instead of a trigger point shot full of anaesthetic? These points can be ‘hidden’ for years, until they become ‘active’. Trigger points aren’t only caused by overuse. Our bodies can develop trigger points from underuse also. 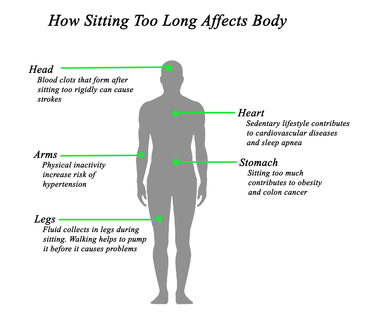 For example, sitting in one position all day can lead to shortened muscles. Its gotten so bad that medical professionals are calling prolonged sitting the new smoking. At play, we look at such things as direct trauma injuries or overuse sports injuries. Other forms of direct trauma include car accidents and sudden falls. After seeing patients with muscular knots for over 20 years, I’ve transitioned from focusing on providing trigger point therapy to help the patient learn to self manage themselves at home with their own trigger point release techniques. You don't need to rely on any magic trigger point app or trigger shot for pain. The best trigger point technologies are your hands and or other simple tools like the Muscle Wizard for knots on muscles. I’ve had many discussions with colleagues and specialists about this. On one side, health professionals believe that you may not know enough to self treat things such as pressure points for back pain, thereby causing more harm than good. However, I’ve seen better results from patients if they are given initial education on how to find their own trigger points and follow some specific guidelines on what to do, and they don't even need a trigger point therapy book. That’s one of the reasons why I”ve created this website, in addition to developing the Muscle Wizard, which allows my patients to perform self treatments at home. Here, you'll get everything from causes of muscle knots to treatment for muscle knots, without a trigger point therapy workbook pdf. You can use a wide variety of different tools to target your muscles. Some muscles can be targeted by simply using your hands, while others do better with simple devices like a trigger point ball, cane shaped tools, the Muscle Wizard, and a trigger point foam roller. (You can see pictures of all the points by looking online for travell trigger point chart. It's not hard to find). Are you now noticing how simple it is, instead of getting injection for muscle pain, such as cervical trigger point injections? Simple tools are easily available for treating muscle knots. Here's a short video where I go through the different tools and strategies for muscle knot treatment, from tp therapy ball strategies to the Muscle Wizard. (With absolutely no mention of trigger point injection medications or trigger shots for back pain). Instead of aggressive muscle injections for pain, you can use these to self treat your trigger points at home, the office or on the road. You’ll need to find ALL the tender spots. (As outlined in any trigger point chart pdf). Most of us find one painful knot in back muscles that feels like it’s causing our back knots pain, and then continue to only focus on that one spot. However, its very rare to have only 1 trigger point spot. For example, in cervical myofascial pain syndrome ('neck pain' to make it simple), most of us may poke around the back of the neck but the pain can actually be in the front, the sides and back. Most of the time, there are several in one muscle, and even in muscles that are a short distance away. That’s why its important to not only explore the area that you’re feeling the pain, but to explore areas away. That’s where patience comes in. There's one area that may be difficult to use the tools. It's from subscapularis trigger points. ​A tp therapy roller or ball can't get in there. Unfortunately the pain is actually under the shoulder blade and the only way you can get there is if someone digs under it. Once you find a spot, it will either be tender or refer pain to other areas. You’ll need to apply gradual pressure into that spot for a few seconds. Muscle knots in back symptoms should gradually feel better after a few seconds. If self treatments don’t seem to work, or you feel comfortable getting treated by a health professional first, then you’ll need to seek someone that specializes in trigger point therapy, without the need for trigger point injections. Lower back pain or neck pain can be treated by any health professional. Not all therapists are created equal. There is a lot of conflicting information out there with respect to the skills of a therapist. Most of the information points to such things as ‘chiropractors don’t know what they are doing’, to ‘most massage therapists don’t have a clue about trigger points’. I find this view shortsighted. In my years of experience, I’ve seen countless patients that ‘went to other professionals, got trigger point shots or tpi injections and didn’t get better until they saw me.’ Does this mean the other therapists didn’t know what they were doing? Not really. I’m sure there are times I wasn’t able to get someone out of their trigger point lower back pain, while someone else was. Professionals go through school learning a vast amount of information. We all graduate as ‘generalists’. We know a bit about everything. Its only afterwards that we take further courses to develop our skills in specific areas, such as learning about muscle nodules, knots in muscles, trigger point knee pain, etc. What sort of courses have they taken that specifically deal with trigger points? Can they easily answer the question 'what is a muscle knot?' Are they familiar with the works of janet travell trigger point therapy? Is trigger point therapy a large part of their practice or just one of many different ‘techniques’ they provide. Do they know how to provide trigger point roller exercises, janet travell trigger point type of diagnosis and treatment, etc? Will they provide hands on trigger point treatment? Maybe they have a trigger point chart, free and hanging in their office? In all honesty, you won’t know a good therapist that is competent in trigger point therapy until you actually get treated. 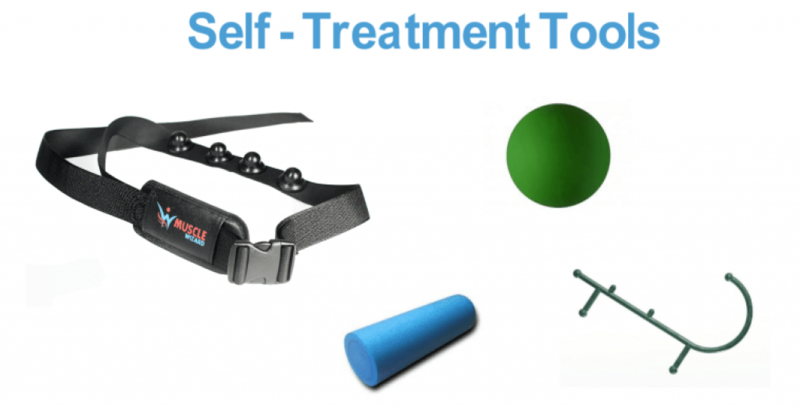 I get my patients started right away with the Muscle wizard and a trigger point therapy ball. I'll explain why they have all these tender spots on body areas. I'll explain the pros and cons of myofascial trigger point injection if that comes up. You’ll then decide if you're comfortable with the treatments, if it produces results, and if they are willing to progress you to a home self treatment program. Again, they may provide onsite trigger point foam roller exercises, explain muscle trigger point anatomy on a trigger point chart. A good therapist will understand the value of helping you take control of your own health, rather than relying on quick fixes like a tpi injection, and trigger point injections. Back pain, neck pain or anything else, it doesn't matter. 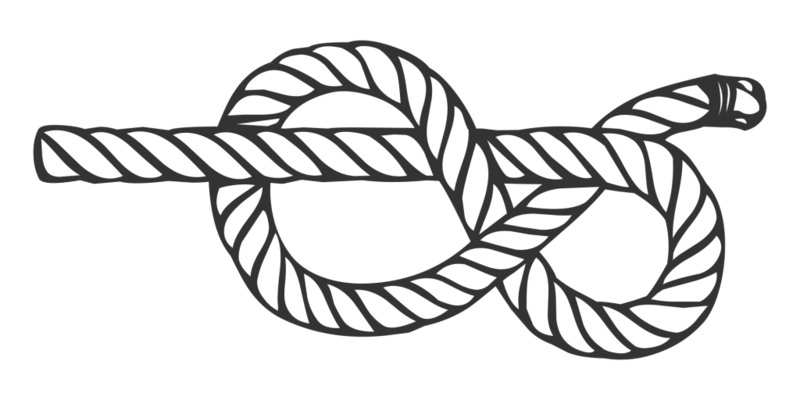 An expert should be well versed in all these areas when it comes to knots. If any of those describes you, you’re not alone. There’s a lot of confusion about stretching, trigger point causes, and muscle pain from trigger points (such as trigger point shoulder pain as an example). Some will tell you that stretching is good for you, while others say it’s bad. Some even say it’s useless. So, who do you believe? First verify that your pain is actually caused by trigger points. Does trigger point pressure recreate the symptoms that you're feeling? Do you feel pain relief if you press into that spot for several seconds? If so, you've confirmed that your pain is due to trigger points. Otherwise, you may have something else, like fibromyalgia. We previously discussed how someone may go into injections for fibromyalgia, when in fact they first need to find exactly what it is they have. Secondly, begin treating your trigger points through a health professional, or through self treatments at home. (avoid any 'muscle spasm injections') Stop all stretching and strengthening exercises during this time. This phase should last about 2 weeks. Are you noticing some relief? If so, you can now add stretching for about 2 minutes every time you finish your trigger point treatments. Hold 1 stretch for 2 minutes. That's it! After you added stretching, are you still seeing some relief with your pain? If so, continue adding another stretch, or increase the time of stretch. If you notice an increase of pain or less relief, stop the stretching and go back to the trigger point treatments. You may have to do this a few times until you can finally feel good when stretching. For example, trigger point hand problems are something I often see. I'll help my patient perform the stretches after I've verified their pain is indeed from trigger point pain patterns. But at any time they feel more pain, we'll stop the stretches and go back to the trigger treatments. When you stretch your muscle, you need to hold that stretch for at least 30 seconds. Sometimes I like to hold the position for as long as 2 minutes. I can even add a roller trigger point tool to dig into the muscles while i stretch over them. It’s best to warm up your muscle through heat before you stretch. For those that are busy, this can best be done in the shower. If you are able to perform a self myofascial trigger point treatment and stretches for at least 1 week without any increase of pain or any new myofascial injury, you can now begin to add strengthening exercises. Strengthening exercises are probably the most important part of the entire treatment program. Our muscles are not designed to sit still. We’re designed to move. However, our postural muscles tend to become overworked the more we sit still. Therefore, we need to build up muscle endurance and strength so we can handle these stresses. c. then begin strengthening exercises. However, this isn’t the case with all muscles. There are certain muscles where I’ll begin a strengthening program before a stretching program. There are other muscles that you stretch before you strengthen. We go over this in our other articles that go into more detail for all the different body parts. If you ask 100 doctors or therapists, you’ll probably get 100 different answers. This is based on my experience of over 20 years. And it’s not always correct! Strengthening your muscles does not mean ‘use heavy weights’ and ‘get bulkier with more muscles’. When we talk about strengthening, we are talking about starting with low weight, or just your body weight. Our focus is to build up muscle endurance, not maximum strength. If you are sitting at your desk all day, do you really need to be ready to lift something heavy? Or do your muscles need to be able to hold your position for long periods of time without getting tired? Think of the difference between a sprinter and a marathon runner. 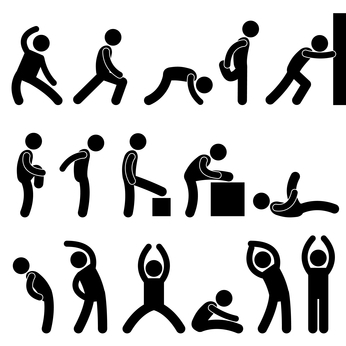 We’re trying to build muscles like a marathon runner if our jobs require us to be sedentary. 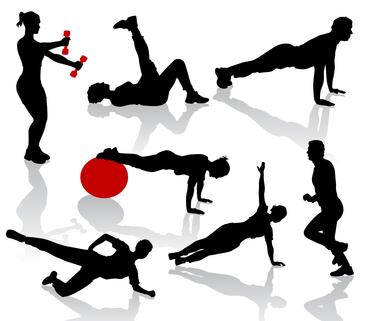 That means doing high repetition exercises with low weights (anywhere from 15 reps to 30 reps). If you begin strengthening exercises, you’re most likely going to become slightly sore. It’s a new form of exercise. With any new form, there’s a chance of developing soreness. That’s why its important to start off slow. If your muscle pain increases, reduce the number of sets or increase the time between strengthening exercises. If you are strengthening a muscle every other day, extend it to every 3rd day. If you don’t feel any pain relief after 2 weeks, stop strengthening exercises and go back to self trigger point treatments. Again, you may need to do this several times before your body is ready to handle the strengthening exercises.